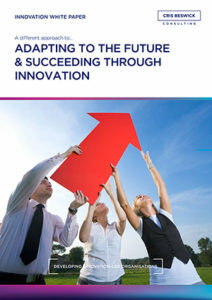 This white paper looks to the future, to 2025 and examines how businesses can lead the way and win at the new innovation-led game. When does the past end and the future begin? Is there a never-ending rolling landscape, which smoothly counts out the days or is the pattern more disjointed with periods of reflective calm interspersed with sudden rushes in response to inventions or social change? Is our only option to react to incremental changes around us or was Benjamin Disraeli right when he said, “Man is not the creature of circumstances. Circumstances are the creatures of man.” These questions have been the subject of debate throughout the generations and no doubt will continue to be so. But as an innovation thought leader I firmly believe that we have the power to shape the future and to be the architects of our own destiny.